Easy Peasy. You may enter from 9am PST on March 20th to 11:59pm PST on April 20th, 2019, but you can only enter once. Submit your name and information. By submitting your email address you agree to receive communications and marketing materials from each sweepstakes partner. 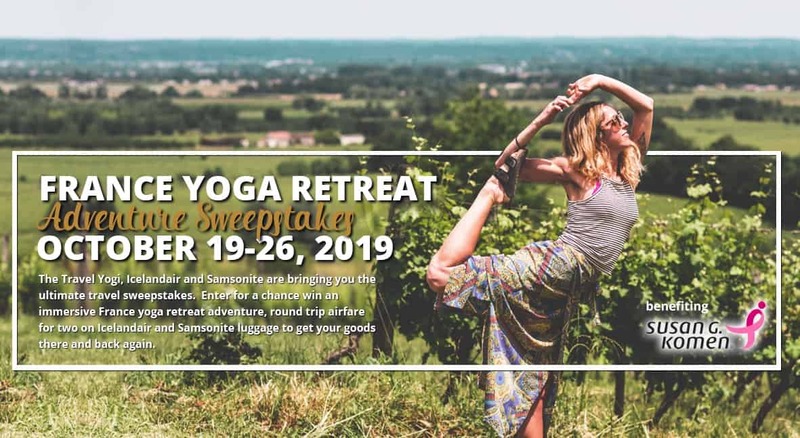 © 2019 The Travel Yogi Global yoga retreat adventures.